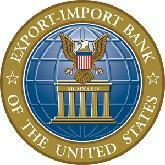 EFS is proud to be one of only a few privately-held brokerage firms selected to work with the Export Import Bank of the United States (Exim) as the latter's City/State Partner. EFS represents Exim as the City/State Partner for the State of South Carolina and has done so since 1996. The City/State Program is a joint effort between Exim and certain state, local, and private organizations around the country to bring Exim's financing services to small and medium-sized U.S. companies that are ready to export. Exim has formed partnerships with 42 state and local government offices as well as private sector organizations to bring its products to the exporter at the lowest cost to the American taxpayer. Exim has resources in the form of loans, guarantees and insurance. Additional information and/or support may be found by going to www.exim.gov or by contacting Mr. Augustine A. Grace, City/State Partner Coordinator at 202/565-3910.